A function in which the maximum degree or power of the dependent variable is one is called a linear function and its graph will always be a line. 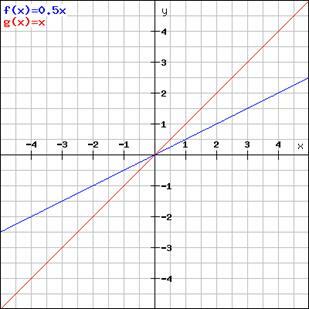 The most basic linear function is: y=x. How will the graph change if we have an equation of the type y=k x? If k >1, then the absolute value of y will always be greater than x except when x =0. This means the value of y will increase faster for positive x compared to the graph y=x for the same change in the value of x. We can understand this better once we plot its graph. If k < 1, then the value of y will always be less than x except when x =0. This means the value of y will increase slowly compared to the graph of y=x for the same change in the value of x. 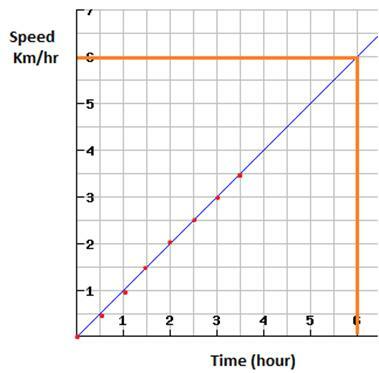 Plot the graph for the same statement as in example 3, “The speed of a car increases by 0.5 km/hr after every 30 minutes.”. How can we predict the speed after 6 hours? To plot the graph, we need a set of ordered pairs. Graphs can be used to find the value of a dependent variable for a given value of an independent variable. To find the value of speed at t= 6 hours from the graph, we draw a vertical line at t=6 .Suppose it meets the graph line at point A. From there we draw a horizontal line towards the y axis. The point where this line meets the y axis is the value of speed at t=6 hours. Also it can be seen that as time increases by 0.5 hours, speed increases by 0.5 km/hr and at any time value of speed s=t. Which company has better growth rate and why? It will be the company whose graph has a steeper line. Since the graph of company P is steeper than that of B, it means for same change in x i.e. number of years, the profit of company P is greater than that of Q. 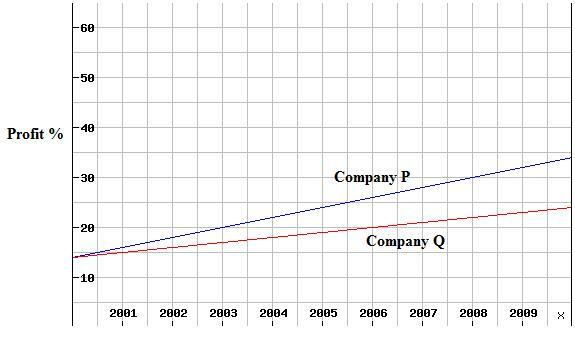 Approximately how much more profit does Company P make than Q in the year 2005. Hence P’s profit is 5 % more than Q’s. A linear function is written as y=mx + b where m is the slope of the line and b is its y intercept. This form of the equation of a line is called slope intercept form. To find the equation of a line in this form we need to know the slope and y intercept. If the change in value of x given by ∆x changes the value of y by ∆y then the ratio of ∆y / ∆x is called the slope of the function. 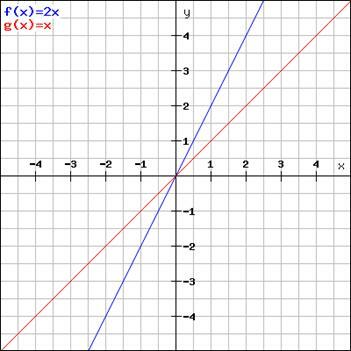 It represents how the value of y changes with a change in the value of x. The slope can be negative, positive or zero. In the case of a line this slope is constant between any pair of x and y values on the line. We can also find the equation of a line when we know its slope and any point that lies on the line. (y – y 1)=m (x - x1). This is called point slope form and it can easily be transformed to represent the line in slope intercept form by using simple mathematical operations. For the graph shown above, we can find the equation of the line for company P by finding any two points on the line. The two points that we choose should be accurate. We can take points (2003, 20) and (2008, 30). The third form of expressing a line is the standard form, for any linear equation, ax + by= c. As an example take the equation y = ¾ x -2. Slope intercept form: y = ¾ x -2; it was given in this form. For the function given below, what are the possible values of y? 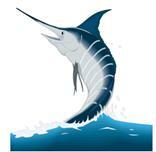 During their first year of life, swordfish increase in weight at a regular rate. A swordfish weighed 14 pounds at the age of one month and 28 pounds at the age of 2 months. What was its weight at the age of 6 months? For an increment of 1 in the value of x, the value of y at least quadruples. Which of the following best represents this?